The 590 Densimeter Canine Concentration Upgrade Kit adds the ability to measure Canine sperm concentration to a 590 Densimeter. 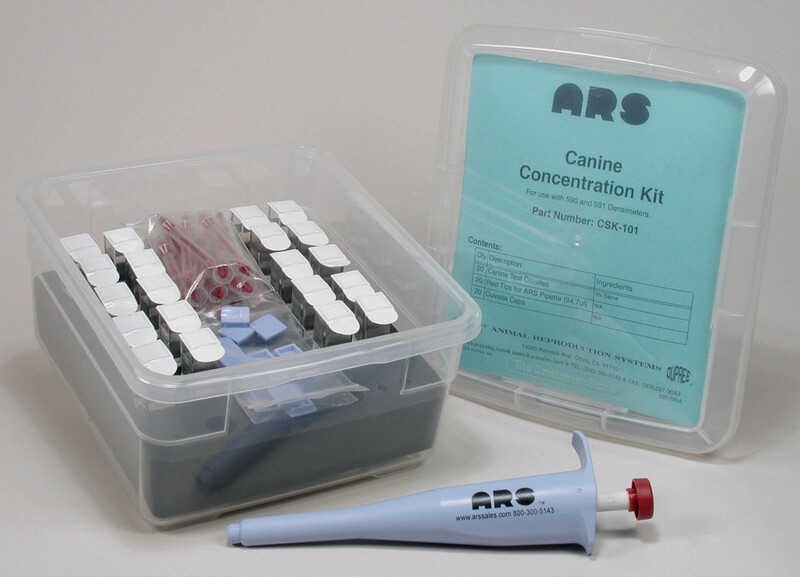 The kit includes the Canine Concentration Calibration and all items necessary to perform 20 measurements. Resupply kits are available which contain consumables for performing 20 measurements. A 590 Densimeter is required to use this upgrade kit. The 591 Densimeter Canine Concentration Upgrade Kit adds the ability to measure Canine sperm concentration to a 591 Densimeter. The kit includes the Canine Concentration Calibration and all items necessary to perform 20 measurements. Resupply kits are available which contain consumables for performing 20 measurements. A 591 Densimeter is required to use this upgrade kit. * ENTER "NEW" FOR S/N IF ORDERING WITH DENSIMETER.